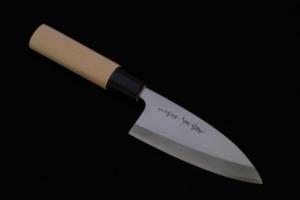 I continued being interested in a kitchen knife of the Tamahagane, and I came to want it recently. 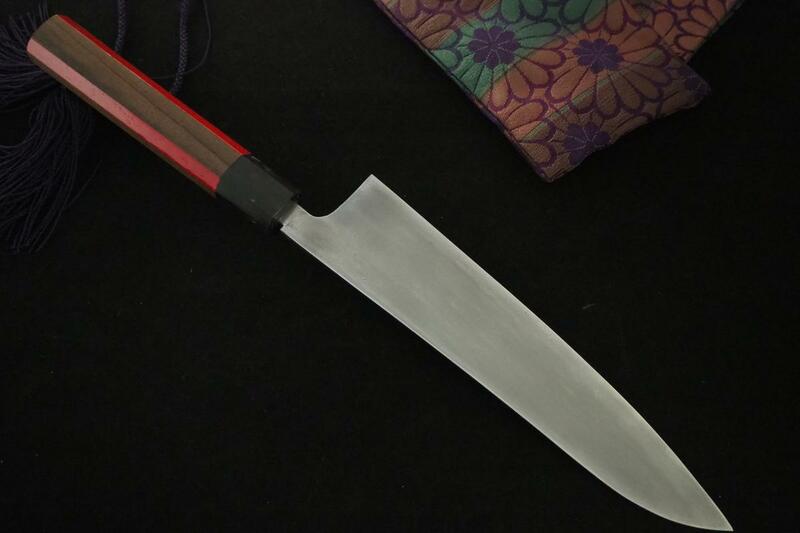 It is all Tamahagane kitchen knife of the pure Tamahagane (Wakou). 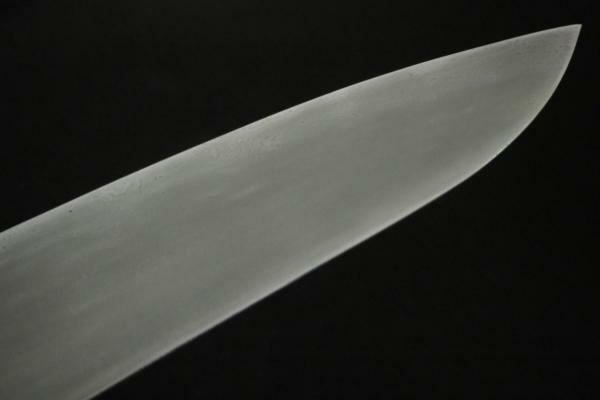 I have been seeing this since many years ago…it is, A kitchen knife of the Tamahagane which is forged in Sanmaiuti(sandwich forging) using Aogami(Blue),Shirogami(White)and Swedish steel or forged it to a single edge. I continued being interested in a kitchen knife of the Tamahagane, and I came to want it recently. 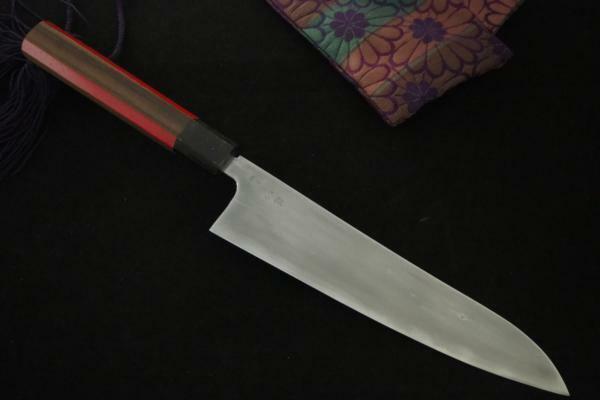 It is all Tamahagane kitchen knife of the pure Tamahagane (Wakou). 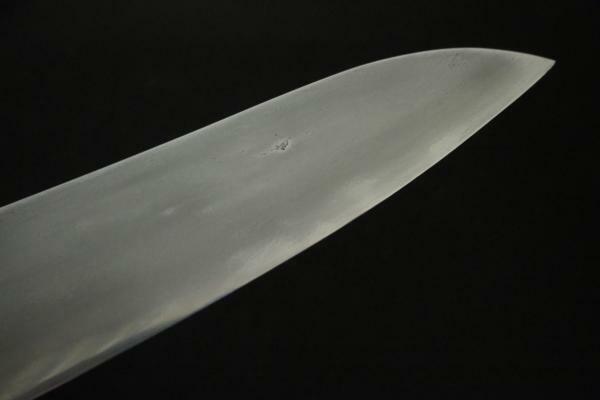 I have been seeing this since many years ago…it is, A kitchen knife of the Tamahagane which is forged in Sanmaiuti(sandwich forging) using Aogami(Blue),Shirogami(White) and Swedish steel or forged it to a single edge. Then I visited the tool craftman of acquaintance. But he said that he has never forged Tamahagane. 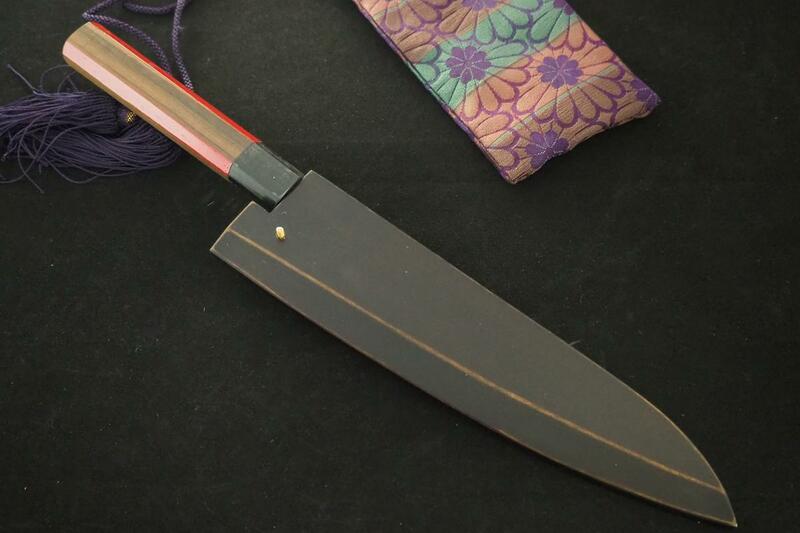 And also, he said “It must be difficult work even if I accepted to forge Tamahagane, So I’m sorry.” How about the opinion from the tool craftman who is also swordsmith? He said if it’s thick,it will be ok, but if it’s thin is difficult. Because, it often breaks during quenching the steel. And then, he ran away. Why is it the best cut steel in the world? After reading for a while, I read the material about Tamahagane again for a while, and I visited several craftsmen again. The things I knew is; It is pure steel containing around 1 % carbon and trace amount of silicon, manganese and phosphorus in comparison with other steel. It’s very delicate like an old woman. There is no element chrome, morblende, etc. that hardens hardenability. 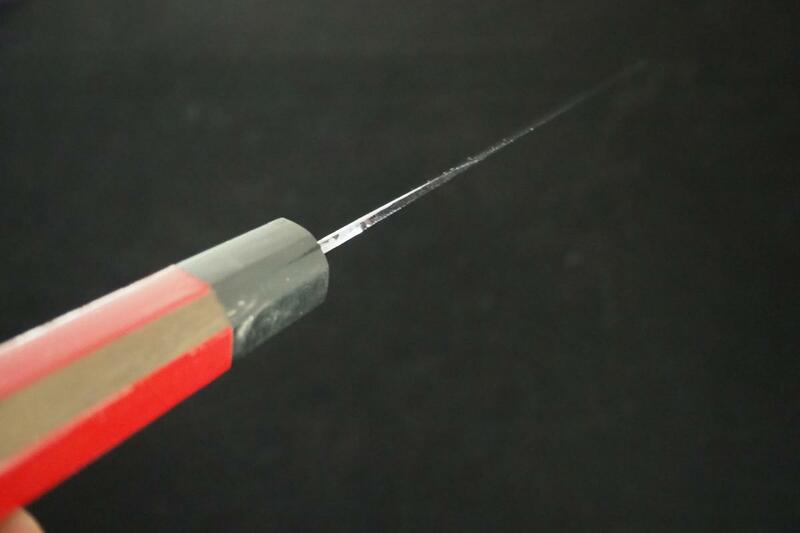 So, the proper area of quenching temperature is surprisingly narrow. It is subtly influenced by the thinness of the blade of the object. 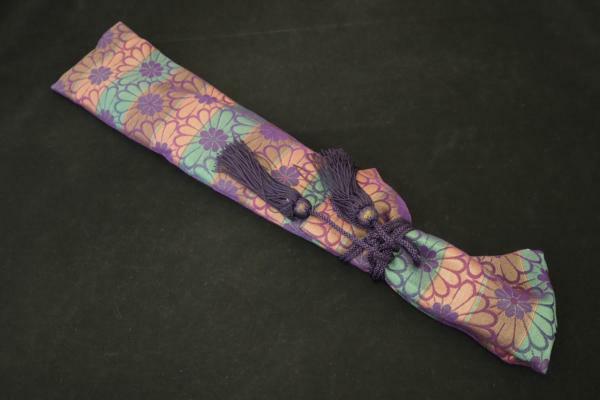 Furthermore, strictly speaking, the type of charcoal prepared at the time of Tatara, iron production (river, mountain, sea), and appropriate tatami work including temperature control. 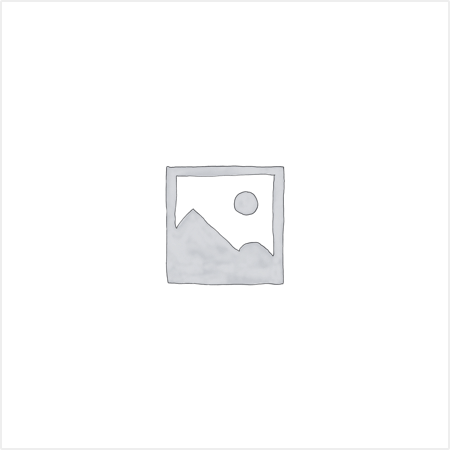 It is the condition that the forging after the accurate return training goes well. However, there is still little chance of success in Tatara (Japanese steel). I think this is God's realm. In the Africa, there was a legend of "small Tatara operation" which made iron from ironsand, and the ritual of sacrifice was made to sprinkle the chicken's neck in front of the Tatara operation and sprinkle blood on the Tatara mat. The probability of success is low, and it is possible to pray to God many times. I felt like that. 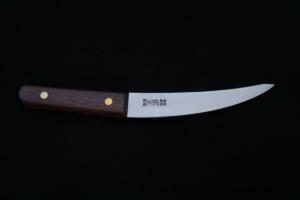 By the way, Hocyo（kitchen knife）is thin, so it is difficult to put it on fire. If it gets too low to raise the hardness, it will sound "pish" and crack. The time, effort, and material that have stacked up will disappear in a moment. If you stay it with lower the temperature, the hardness is not enough. 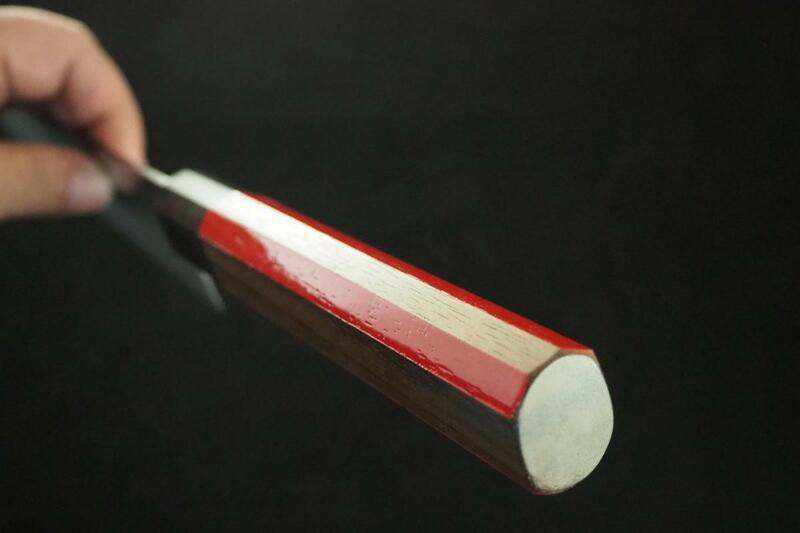 Even if I made the room dark with a carten,　the color of the "red color" may seem subtly different depending on the physical condition at that time. That's why I decided to take lessons in the Kurogane studio in Shimanto that had been in the information about five years ago. The training is production, forging and forging of Tamahagane by ancient iron making. Mr. Sinya Hayashi was lecturer. As for Tatara iron making, I visited several times, such as "Takumi tetsu Tatara" in Shimane Prefecture, so I had some idea. I have played about the forging several times at the blacksmith of the acquaintance. I got 9kg Kera by Tatara operation in Kurogane studio. I tried to sharpen them with a grinder. It seemed to be good stuff. 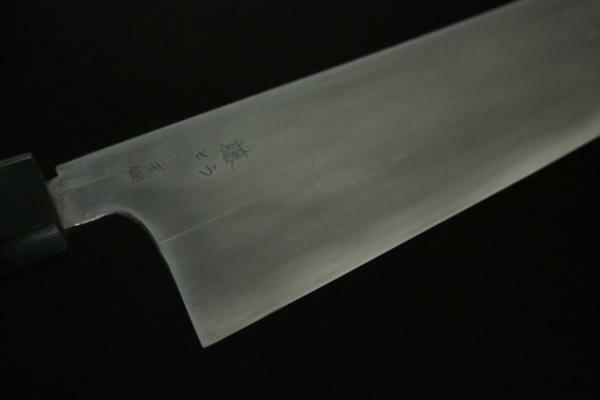 Then, I asked, "I want to make the gyuto with Tamahagane." 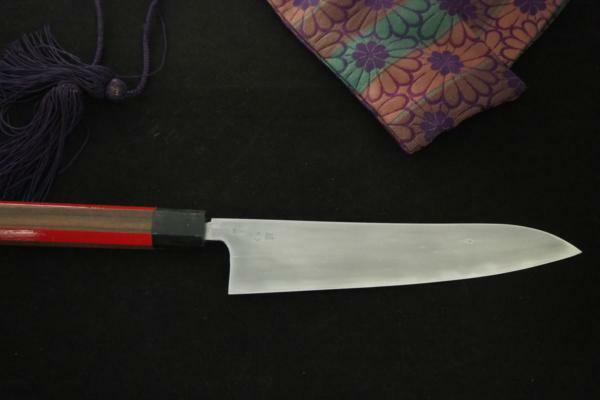 Then, he said that he has never made such a kitchen knife, but he makes the hocho with Aogami(blue paper). He looked at my sad face and said with a smile, "I don't have any chance to try it somehow, but I will try to make it". He is kind. I killed the delight, and entered the workshop. I felt relieved a lot. Actually, I came here with the drawing of Hocho with Tamahagane. I already had prepared it. First of all, I took charge of the hammer and broke the Kera a hammer. I removed Noro, iron and charcoal from the furnace. Then, I make it red and board form. 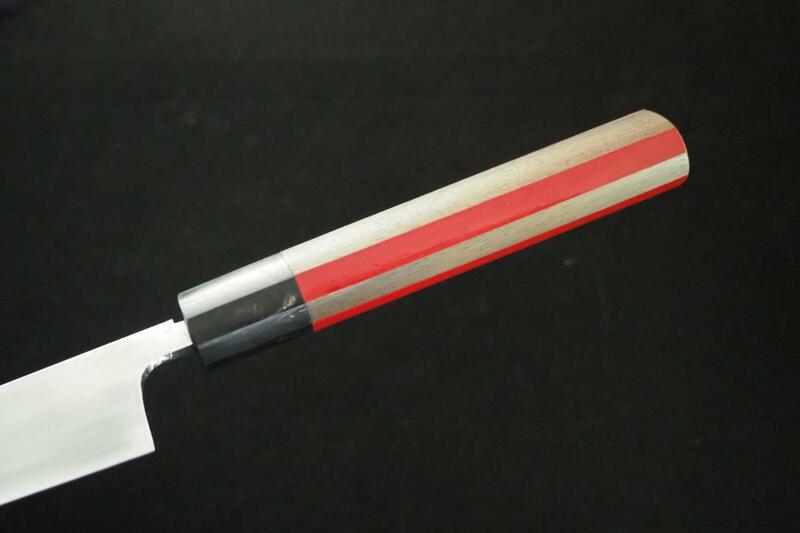 I forged and extended ingot, and I sometime used a chisel again and again. Finally, the foriging became 5times. 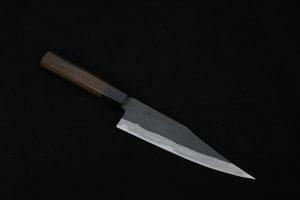 I need to consider about the length of gyuto. Then, I look the drawing and make the shape. 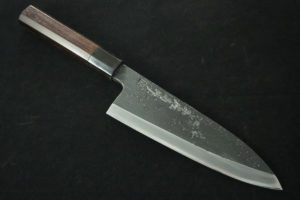 Moreover, I make the shape with a whetstone, rasp and a grinder before the quenching. The next is tsuchioki(soil coating). 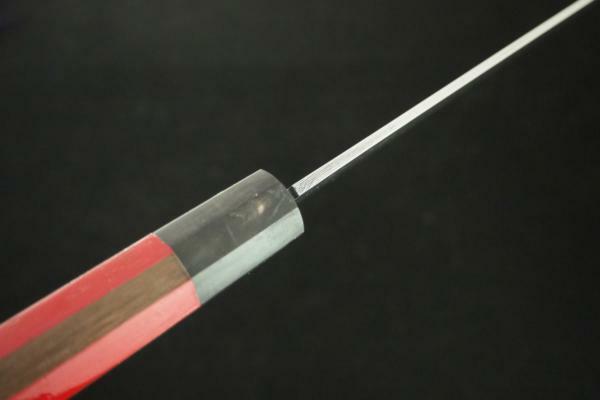 It is a kind of buffer for obtaining the hardness difference by the cooling temperature difference when it is quenched and put into the water. This is also common sense for blacksmith. 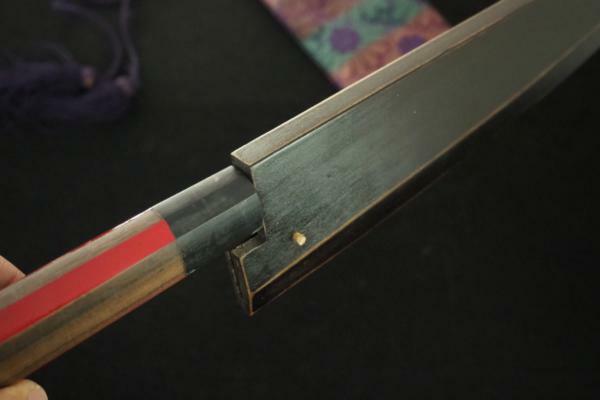 However, according to Yoshiaki Sugita　who is a famous sword swordsmith and famous for hadaka Yaki, that can be promoter rather than buffer because of the physical phenomenon of the organization of free electrons in steel. it is a very mysterious story. 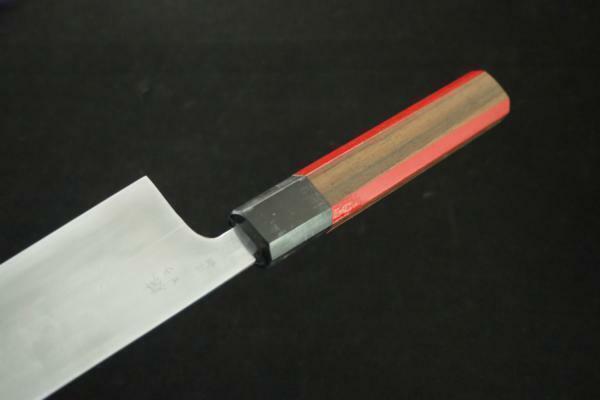 About the spatula for tsuchioki(soil coating),I was made by fire making and forging by myself. 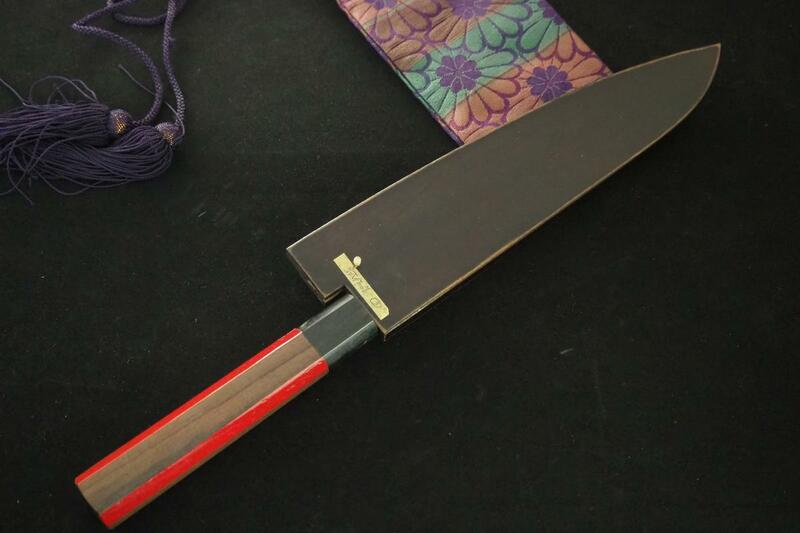 Mr. Hayashi made 焼刃土(blade cray) based on the document left by the master of Hayashi. He applied it to the blade, painted the ripple he imagined and scraped. I had seen and heard about 土置きtsuchioki(soil coating) when I visited to the swordsmith’s training center before. However, it was the first work for me since, so I tried to put the soil in various ways. Mr. Hayashi was looking at that with fascination. I quenched 10. Two of them were broken. Eight survived as a gift from God. But, one of them have kneaded cracks, so I use in my kitchen. By the way, I put them to grinding stone, then checked the hardness. The bending strength was also confirmed. There were some bad one, some of them were really great like accidentally. 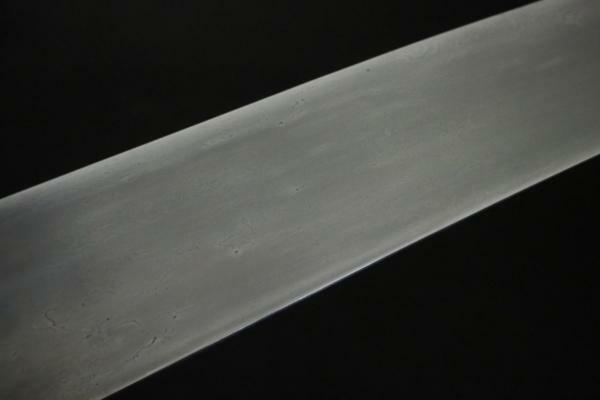 Of these, I observed about the spheroidizing of carbon of Gyuto kiritsuke style 240mm metallography microscope. But, I couldn’t see the spheroidizing of carbon clearly like Hitachi blue paper. But, the hardness and bending strength are enough. This is a mysterious point of Tamahagane. 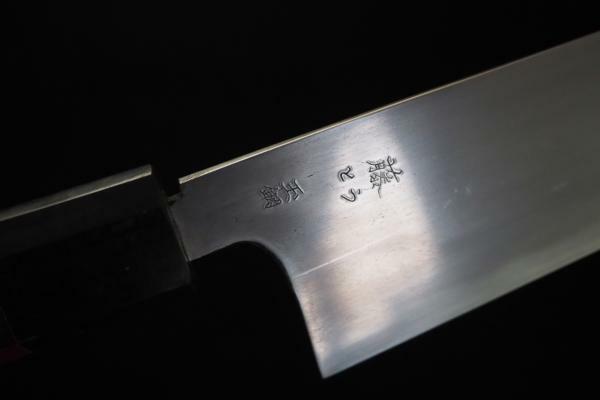 The sharpened finish of this gyuto kiritsuke240mm is specially finished by the sword sharpener, and the rest of them were sharpened by sharpener that sharpen as sword sharpener. I think It is inferior in the chipping and the cutting when we compare between with Sweden steel, the blue paper of Hitachi and the white ,but I feel something of sweetness and warmth about Tamahagane (Wakou)…. And there is a grand romance. Of course, I am not a professional forged. 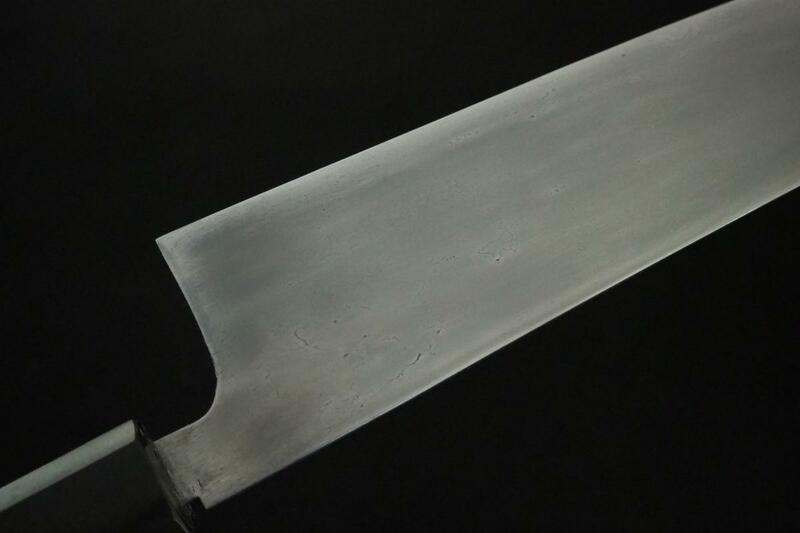 All the hard parts of the forging and quenching were helped by Mr.Hayashi. Thanks. But, I have never seen a kitchen knife of “all” Tamahagane (Wakou) Therefore, I visited the swordsmith of the acquaintance, and request the kitchen knife of all Tamahagane. But, he said “With Tamahagane? is it for a kitchen knife? … Probably it will be impossible.” Then I visited the tool craftman of acquaintance. But he said that he has never forged Tamahagane. And also, he said “It must be difficult work even if I accepted to forge Tamahagane, So I’m sorry.” How about the opinion from the tool craftman who is also swordsmith? He said if it’s thick,it will be ok, but if it’s thin is difficult. Because, it often breaks during quenching the steel. And then, he ran away. Why is it the best cut steel in the world? 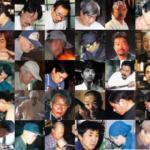 After reading for a while, I read the material about Tamahagane again for a while, and I visited several craftsmen again. The things I knew is; It is pure steel containing around 1 % carbon and trace amount of silicon, manganese and phosphorus in comparison with other steel. It’s very delicate like an old woman. There is no element chrome, morblende, etc. that hardens hardenability.